Do you enjoy discovering cool accessories for your iPad? Are you usually the first one in your social circle to find innovative products to share with your friends? 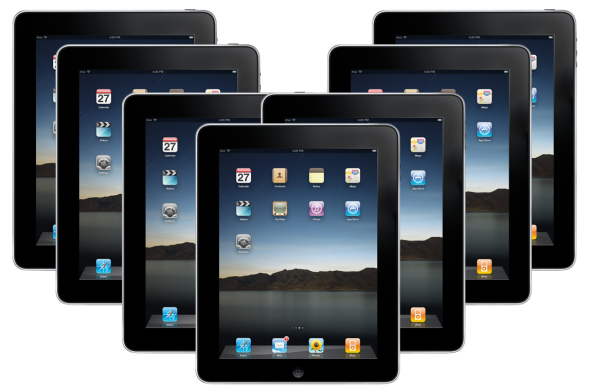 If your answers are affirmative, you’ll likely enjoy discovering the following sweet treats for iPads. Proceed with caution though as you’re likely to end up wanting some of these quirky tech products for your own Apple tablet. If you’ve ever wanted to learn to play the piano, the Piano Apprentice iPad device is likely to be sweet music to your ears. This cool tech toy lets you learn to ‘tickle the ivories’ right on your iPad. Simply attach your iPad to Piano Apprentice and start learning to create magical melodies whenever you feel inspired. Plug your ear buds into your iPad and you can even play the piano while you’re commuting to work on public transit. The GoPad device is a cool tool that snaps around your iPad so that you can hang your tablet around your neck. You’ll never have to worry about finding a flat surface to work on when you can tap away on your tablet while it securely hangs in front of you. 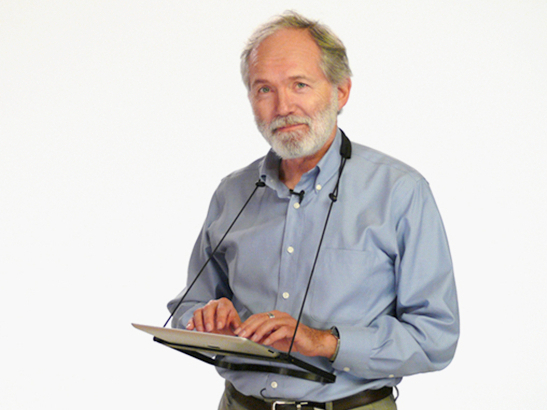 The GoPad also converts to a handy stand should you want to place your iPad in an upright position for easy viewing. Available from Hammacher Schlemmer, the iPad Jukebox offers a quirky way to enjoy the digital music you have on your Apple device. You can blast your tunes to your friends or enjoy your favourite tunes in solitude as you reminisce about soda shops, drive-in diners, and sock hops. 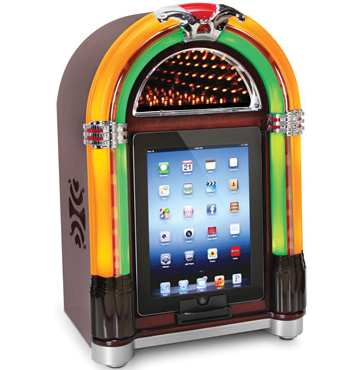 Your iPad nestles securely inside your digital jukebox for music enjoyment with a touch of nostalgia. These are just three neat iPad accessories you can add to your Apple device. Whether you treat yourself to one or add any of these tech treats to your birthday or Christmas list, these innovative digital accessories are sure to spark plenty of conversation. Which one of these gadgets is your favourite? Android v. iOS: Which Is Right for You?